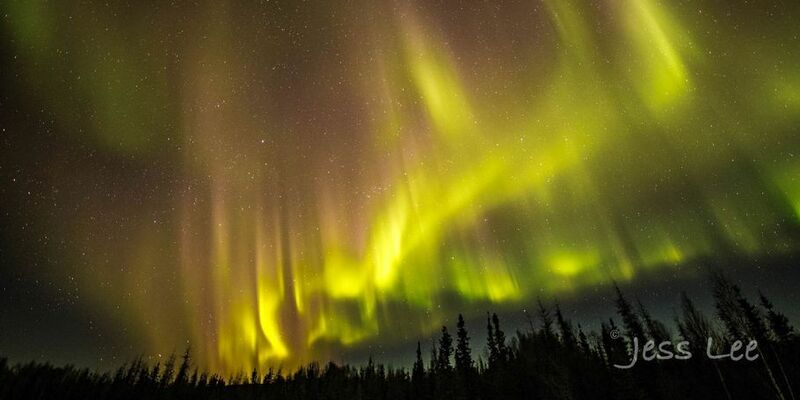 Experience and photograph the wonders of the Aurora or Northern Lights during October before the arctic cold sets in for the winter. 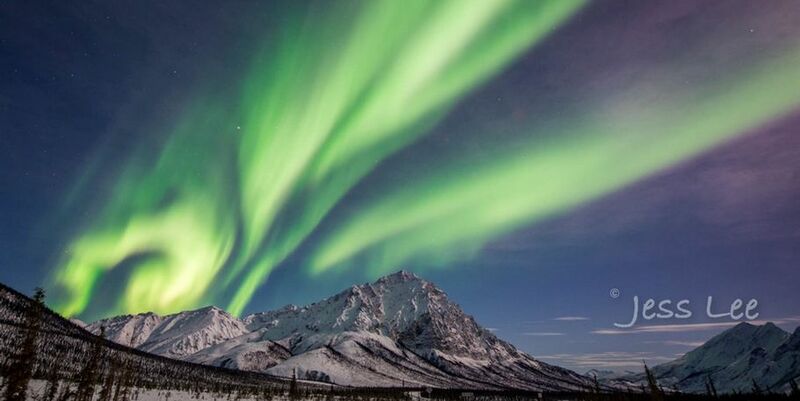 Even though many people associate the aurora with cold and snowy winter scenery, the most active seasons are actually autumn and spring when the earth?s orientation towards the sun maximizes the probability of solar flares interacting with the planet?s magnetic field to generate this phenomenon. 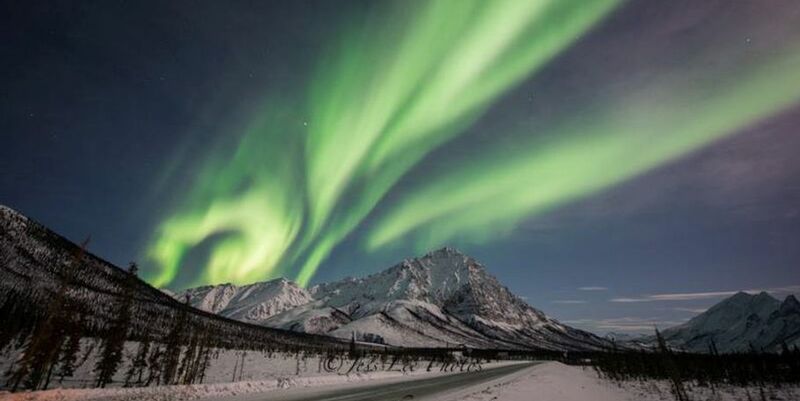 Aurora Borealis or the northern lights photography is the dream of many adventurous photographers. Now you can join Jess for a well planned Aurora Borealis Photography workshop and tour to some of the best locations to capture the glimmering northern lights during the most productive time of the year. 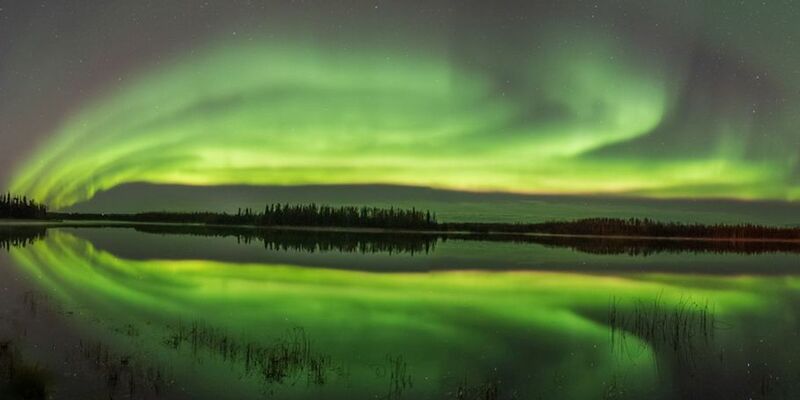 During this Autumn workshop we should have the ability to photograph the the dazzling northern light reflecting off of lakes and ponds at some of Jess's favorite locations. There should be snow a several locations to give the cold of winter feel to some of your photos without the freezing feel on your hands, toes and nose! On this expedition of aurora photography we will concentrate our time under the center of the North American Aurora belt and the Alaska range seeking great Northern Lights photos and stunning landscape images. This location and time will give us the best opportunity to capture a super breakout of Aurora as we did in the spring of 2018 with fabulous displays of Northern Lights. We will begin our trip meeting in Fairbanks on October 10th. 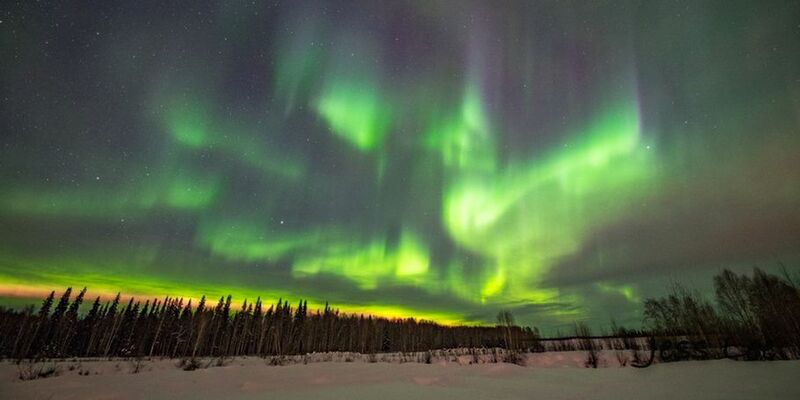 Fairbanks will be our main base for this trip since it lies in the center of the area in North America were the aurora in normally viewable during the Alaska winter and autumn. 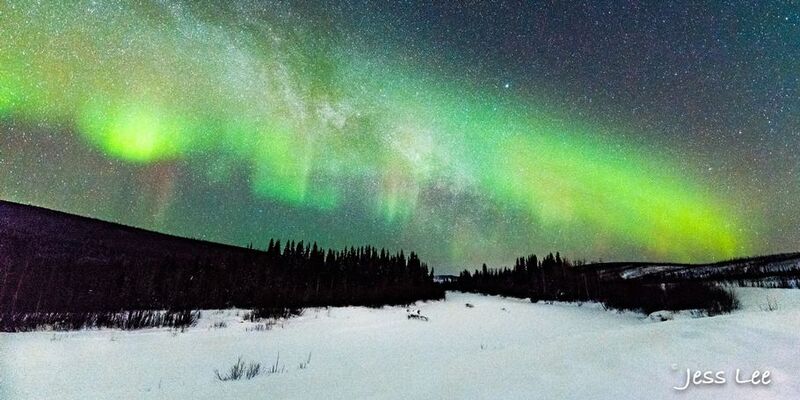 This workshop is scheduled to coincide with one of the best possibility for clear skies north of the Alaska Range and historically some of the most dramatic aurora activity of the year. We will also spend some of the daylight hours photographing traditional Alaska scenery. As with any trip weather and light conditions can affect the exact schedule but there are many options to maximize your photography opportunities. 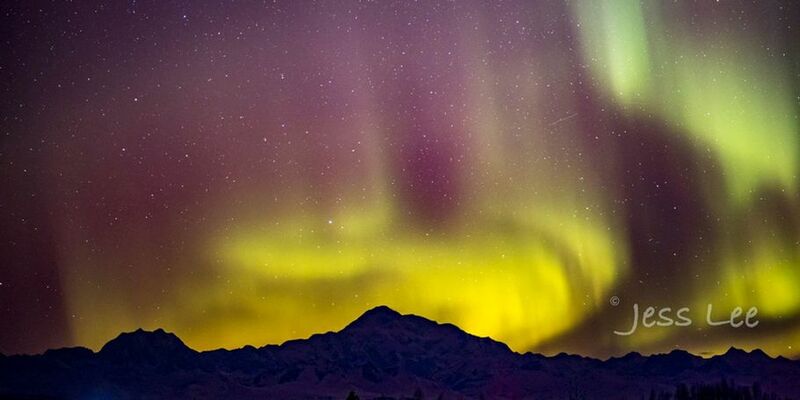 With Jess's instruction in the art of Northern Lights photography and local knowledge you will be assured of bringing back incredible images of Alaska in winter. 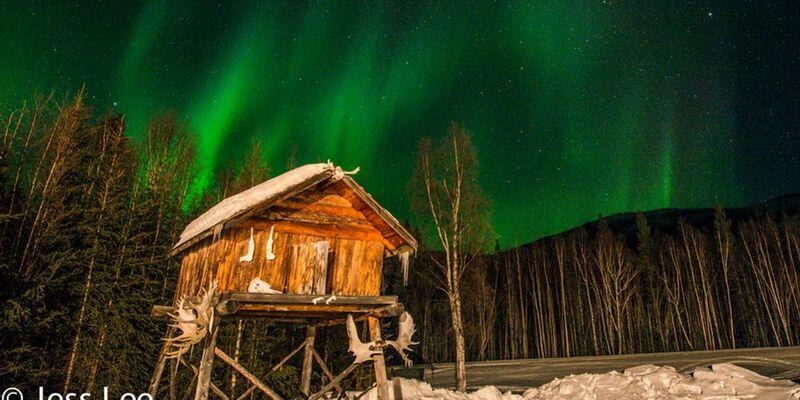 Guiding, instruction, transportation and lodging from Fairbanks $3295. Double occupancy. Single supplement $350. Non refundable deposit of $750. guarantees your place. Personal check, paypal, or credit card accepted. 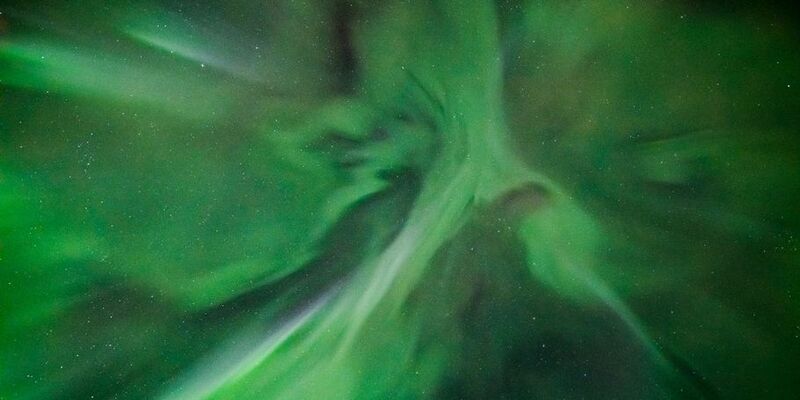 The Aurora Workshop will conclude the Morning of October 15th. Those joining Jess in Homer for the Alaska Eagle Autumn workshop will fly to Homer to begin the Eagle workshop the afternoon of the 15th.